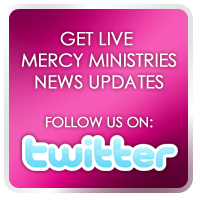 Mercy Ministries News: St. Louis Graduate Finds Healing and Freedom! I came to Mercy in a broken state. My life was out of control, and I was struggling with depression and self-harm. Most of my struggles stemmed from being sexually and physically abused as a child. I also grew up with several other health issues that really took a toll on me. My life was very unstable, and I ran away from God and my faith. I was angry at God and I thought he was purposely trying to hurt me, so I started to practice Daoism. I continued to rebel and became very promiscuous. I was overwhelmed with suicidal thoughts and I was at a point in my life where I actually hoped and expected to die. My friend Angel told me about Mercy Ministries. I decided to reach out a give life one more try and applied to the program. While at Mercy, my mind, body, and broken heart were healed and restored. The powerful word of God spoke truth into my life and transformed me from the inside out. The program has been a vital step in my healing process. Now I desire to live and I know who I am in Christ! I have grown to love myself just the way God created me. All of the lies I once believed have been replaced with His truth about me, and I am excited to walk out my new found freedom. I would like to thank the staff at Mercy Ministries for being here and for not walking away from me when I needed someone the most. As I leave Mercy, I plan on pursuing overseas mission opportunities, and I also plan to start interviewing for elementary music teaching jobs. We are so proud of you Kelly, and we can’t wait to see what God has in store for your future!